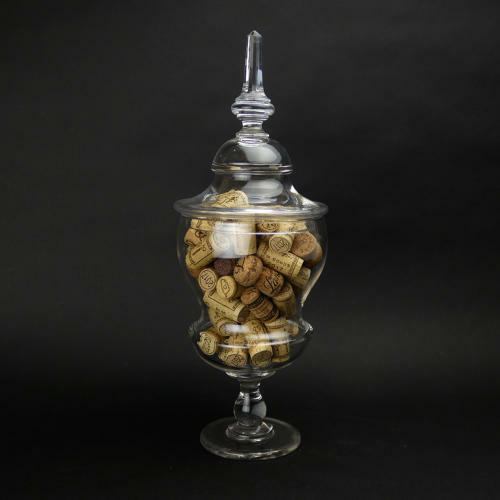 A large, and very attractively shaped, French crystal storage jar. This jar dates from c.1860. It has a pedestal foot, a waisted body and the lid is quite elaborate, with a very tall, facetted knop. There are a couple of very tiny bubbles in the glass, as would be expected in a piece of this period, but both the jar and lid are in excellent condition. It would probably, originally have come from an apothecary but now would make a super kitchen storage jar.